Other people seem to have good memories. I on the other hand have a mass of fragmented facts swirling around my brain, most of which eventually spin into oblivion with just a few cascading into some form of long-term memory. 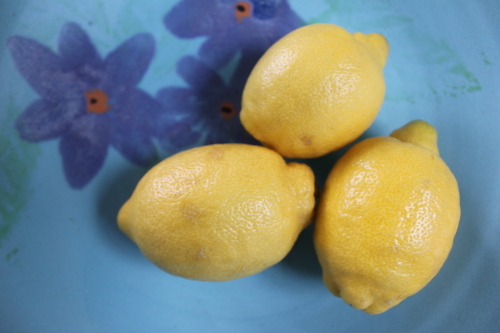 First thing every morning, I sip a mug of hot water, into which I have squeezed the juice of half a lemon. I drink the lemon water because of its health giving benefits. I remember to have the drink, but could I remember in any detail, when I came to write this post, what the health benefits are – no, I couldn’t. This memory malfunction didn’t matter, as I could of course always look them up. I was so sure I knew which was the book where I had first read about the lemon water, only to find when I took said book down from the shelf, that there was no mention of the citric cocktail. I willed my mutinous memory to recall the correct book but drew a total blank. I did find the following in The Alchemy of Food by Dr Peter Schleicher “Lemons are rich in vitamin C, enzymes and antioxidants. They have a cleansing effect, fortify the immune system and guard against colds”. Despite my faulty memory I am sure (I think!) that when I first read about lemon water, much was made about how good it is for the digestive system and there was a recommendation the juice should not be drunk without first diluting it in water. That’s it for now. I am off to trawl the net to discover what I can take to improve my memory; hopefully it’s small doses of red wine and dark chocolate. I couldn’t even find the folder! So don’t feel too bad there are many of us out there.